This One Stitch Mug Cozy if a great way to keep your coffee or cocoa warm this winter and makes a great gift! It is made to fit a standard coffee mug. 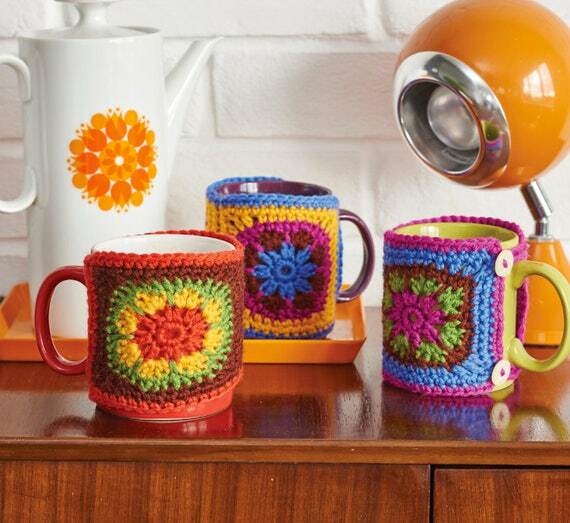 Use Lion Brand yarn or yarn of your choice to make this mug cozy and a size J-10 crochet hook. These types of projects make quick and easy gifts for family and friends. Teachers, co-workers and more would love this idea along with a mug filled with chocolates or a gift card. Download the Free One Stitch Mug Cozy Here..